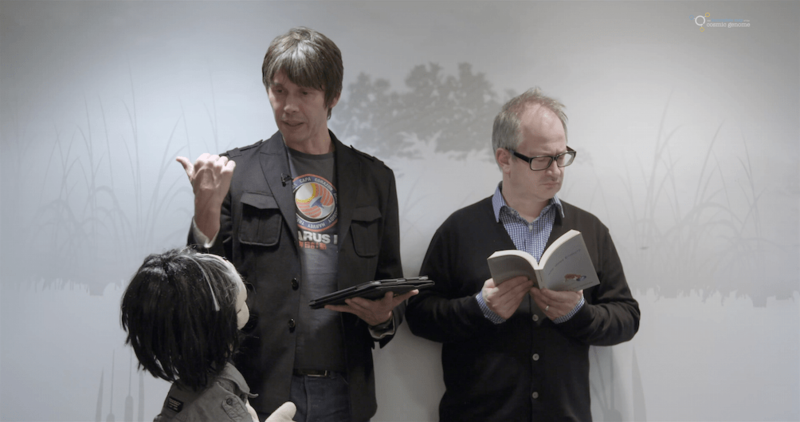 The Quest For Wonder is a new web series written by Trent Burton and stand up comedian Robin Ince and directed by Trent and Melinda Burton, pitched at all ages, with the core audience perhaps being parents and primary-school-age children. The star of the show, alongside Ince himself, is physicist and presenter Brian Cox; the pair having blossomed throughout thirteen series of the Radio 4 programme, The Infinite Monkey Cage, which began in 2009. This mini-series of six bitesize episodes makes for satisfyingly easy viewing, as a result of a sharp script and artistically pleasing puppetry production. Cox and Ince present us with a declaration of knowledge in the most sincere of forms. The Quest For Wonder seems to fill the space left where every one of those rare, genuinely passionate teachers once stood. This is for those teachers that leave their egos at the door and make it their mission to instil some form of passion in their students. All that said, and much like with some teachers I’ve encountered, I found myself willing one them, one of the puppets that is, to swear. Though perhaps that has something to do with the fact a stand up comedian is part of the cast. The self-mockery is in abundance, Brian and Robin voice their own puppets, but there isn’t a sense of caricature about the humour. The writing shows an astute awareness of audience perceptions of Brian Cox’s quirky presenting style, whilst adding surreal elements to his character, stemming from the fact that the physicist has lost the physical manifestation of his ‘Wonder’; a strange, blue, hamster-like creature, no doubt much appreciated by younger viewers. The characters themselves are bickering and knowledge-obsessed but successfully skirt the borders of irritating. And while the laughs are plenty, there is also room for a transaction of knowledge to take place with both characters frequently bringing relevant and interesting scientific concepts into the discussion. The Quest For Wonder is a fantastic new initiative to support the work of the Science Museum and help encourage people of all ages to take an interest in all realms of science.